-Read the media bias example below (from a Dec. 4 post by Kristine Marsh at BusinessandMedia.org). Hurricane season ended Nov. 30, with an all time-low for hurricanes. The weak outcome didn’t fit the environmental disaster narrative the media had [presented] leading up to hurricane season. ABC, NBC and CBS devoted broadcasts to scaring viewers with news of [a very bad hurricane season]. But they became strangely silent once the season finished … and next to nothing had happened. CBS and NBC each gave a passing mention to the end of hurricane season on their evening news shows, Nov. 30. ABC didn’t even bother to report on the topic. None of the three networks admitted that the preseason predictions were up to 450 percent higher than actually occurred. Just a few months before though, reporters [presented numerous reports] of increased hurricanes and “extreme weather” which they always linked to global warming. CBS wasn’t much better. 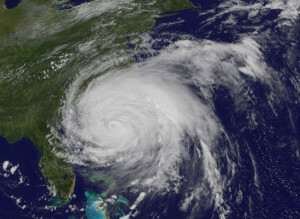 In May, it declared it “could be another dangerous year along the East Coast,” and then brought on a climate change activist who said, “it [climate change] is one” of the causes of hurricanes. But this is nothing new. The media tried to pin most every natural disaster on global warming this year, from Hurricane Sandy, to the Oklahoma tornado last Spring, to the two Atlantic hurricanesthis Fall. After Hurricane Sandy hit last October, the media spent a whole year hyping the “superstorm’s” impact as an effect of man-made global warming. Instead of reporting the truth, the networks choose to ignore it (ABC) or mention it in passing, hoping their audiences have forgotten their earlier dire warnings (CBS and NBC.) Instead of using a wide range of experts, who hold varying beliefs on the legitimacy of global warming, man-made or otherwise, the news networks have only presented one, incredibly polarized opinion, as truth. Meteorologists like NBC’s Al Roker even scoff openly at the idea that any other view could be legitimate. What obligation do the networks (ABC, NBC, CBS) have to follow-up on their earlier news reports predicting a bad hurricane season with the news that this was instead a very quiet year? 2. Do you think this excerpt is an example of media bias? Explain your answer.